Los Angeles DUI charges involving celebrities inevitably attract ridiculous amounts of attention from the press and from the lay public – and for understandable reasons. We look up to celebrities, even if they became famous because of bad behavior or brash, outstanding opinions. Celebrity DUI arrests also force us to reflect on our status, since we often pin our hopes, dreams, fears and expectations on famous people with larger than life personalities. 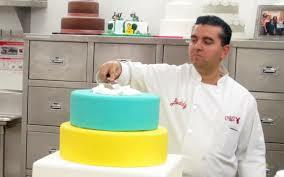 In that light, let’s take a look at the recent DUI arrest of Buddy Valastro, much better known as the “Cake Boss.” According to reports from CBS New York, police arrested Valastro for DUI in Manhattan last Thursday morning, after officers saw him swerve in his yellow 2014 Corvette near 10th Avenue. Police pulled him over and said that Valastro exhibited symptoms typical of DUI, including bloodshot eyes and the odor of alcohol on his breath. Officers say that he failed a field sobriety test, which likely included tests similar to the ones used here in Southern California, such as walk the line test, finger to the nose test, count backwards by threes test, stand on one leg and balance test, and so forth. In addition to starring on TLC’s “Cake Boss” reality show, Valastro owns bakeries in Los Vegas, Queens, Manhattan and New Jersey. Valastro is due back in court on January 2015; this was his very first offense. When you read stories like this in the news, you might instantly assume that Valastro was guilty (or likely guilty) because he allegedly failed the field sobriety tests and exhibited so called symptoms of DUI. But as we’ve touched on many times, those tests can lead to false positives. For instance, you can fail sobriety test because you are tired, confused, or just nauseous and sick. Likewise, you can exhibit symptoms of DUI because you are on a ketogenic low carb diet… although it’s probably unlikely that the Cake Boss has been eschewing all carbohydrates. For help exploring your potential defense options, call Mr. Michael Kraut of the Kraut Law Group today to schedule a complementary and confidential consultation with an experienced Los Angeles DUI criminal defense lawyer.